“On March 9, pro-life advocates from downtown Chicago will join with people of faith from many other communities across the country to kick off our own version of the groundbreaking 40 Days for Life campaign,” said Christina Skelley, director of the Chicago-Old Town 40 Days for Life campaign. 40 Days for Life is an intensive pro-life initiative that focuses on 40 days of prayer and fasting, 40 days of peaceful vigil at abortion facilities, and 40 days of grassroots educational outreach. The 40-day time frame is drawn from examples throughout Biblical history where God brought about world-changing transformation in 40-day periods. The prayer vigil of the Chicago-Old Town 40 Days for Life will take place at the Planned Parenthood Near North abortion facility at 1200 N. LaSalle Blvd. The facility made headlines in the fall of 2009 when a controversial “bubble zone” ordinance was enacted to prevent pro-life advocates from approaching women outside abortion clinics. David Bereit, national director for 40 Days for Life, cited the proven life-saving results of the campaign. “During seven national coordinated campaigns, more than 330 communities have joined together for nationally coordinated 40 Days for Life campaigns. The efforts of hundreds of thousands of people of faith helped make a tremendous difference,” said Bereit. 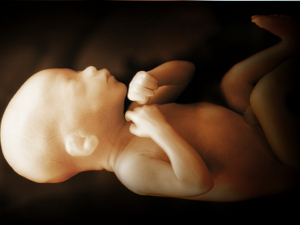 To learn more about 40 Days for Life campaign, visit: www.40daysforlife.com. For information about the Chicago-Old Town campaign, visit: www.40daysforlife.com/oldtownchicago.